On top of being locally focused, the job demands that you balance that with a more worldly view. Voters hope that any politician they elect has the experience and the maturity to see how the local sits in with the national perspective alongside the global. A big ask – but a fundamental consideration for the making of a successful politician – as opposed to a populist politician. I met such a person recently as part of my research into some of our ACT politicians – with an interest in urban, planning and associated issues – for instance the arts and heritage. I have started by selecting from those on the Legislative Assembly’s planning committee. Nicole Lawder is a resident of Tuggeranong and a very happy one at that. Her family is out there and she loves the place. When we sat together to talk about anything and everything, her interests in looking after the people of her electorate came to the fore very quickly. 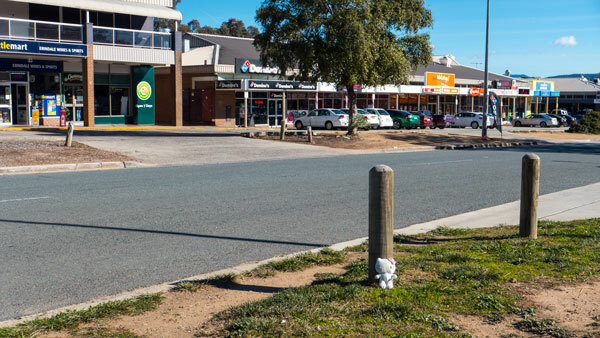 When you visit this street it is obvious that when it comes to Tuggeranong, neglect seems to have been the order of the day through previous governments. So where were their previous local politicians? Doing ‘more important’ things obviously. Nicole had a letter that said work would be commencing in May 2017. We looked at each other and wondered – does that mean something is to happen by the end of the next couple of weeks? I was out there the other day and can report that there is still no sign of any activity. Then again, the Minister for City Services did say May 2017 – so we should be patient and believe her. We will check in again in June. 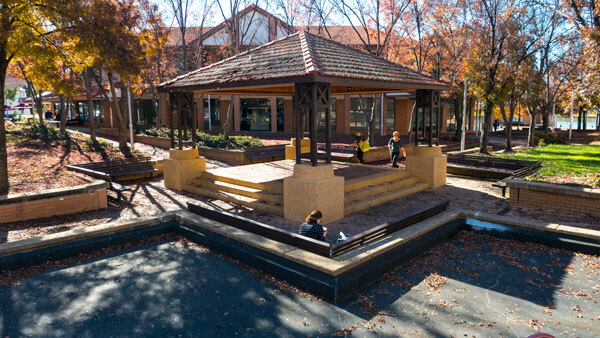 We discussed the ongoing neglect around the Tuggeranong Town Centre. It is obvious that there was a time when former governments cared for the area as you can see the buildings and infrastructure that was built in those times – now decades old. A lot has been said over the years – many words written and I suspect many people have chased down local politicians to get the place lively again. Not a lot of success on that front. We did wonder whether Tuggeranong was being punished for not electing more of the Chief Minister’s friends. But having spoke to Nicole about this – I can assure anyone in Tuggeranong that she is on the case. Always difficult when you are in opposition – but from talking through these issues – I sense a commitment. The other matters to which she responded with commitment were those around housing, public housing and the rezoning by this government to have ‘community zoned open spaces’ to somehow include relocated public housing. Nicole is definitely not impressed by the games being played by the government in this space. This is not surprising given Nicole’s previous national and local leadership roles in the community sector. Then we came to the wonderful topics of planning. I commented on her previous media release around how complex territory planning has become, how huge is the documentation involved, and how it has now become totally foreign and inaccessible to residents who want to get their heads around what is going on. We agreed that something has to change very soon – but we were both not prepared yet to think that the Chief Minister’s new planning authorities were going to solve this matter any time soon. I brought up the subject of the tram. I expressed an opinion that I was hoping that the Liberals were going to get over their total opposition to this and were going to be seen to get on ahead of the game and start to lead on this debate instead of being ‘against’ anything to do with it. Nicole agreed that this is where she saw the Liberals heading especially as the proposals are now appearing to do with new stages for the tram. A subsequent thought I had on this (not discussed with Nicole) is that their advocacy should now be concentrated on getting the line into Tuggeranong. 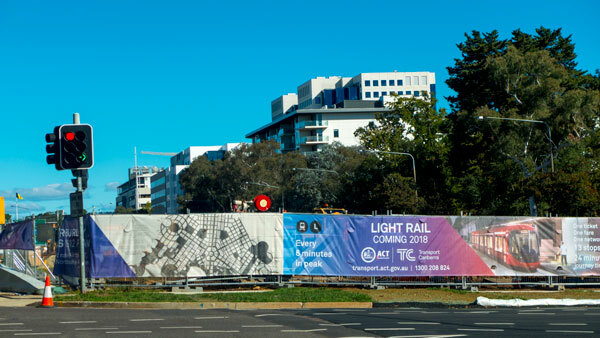 Forget the airport – they catch taxis and buses – get the tram down to where the residents are and provide them with easier access to Woden and other areas of the city. 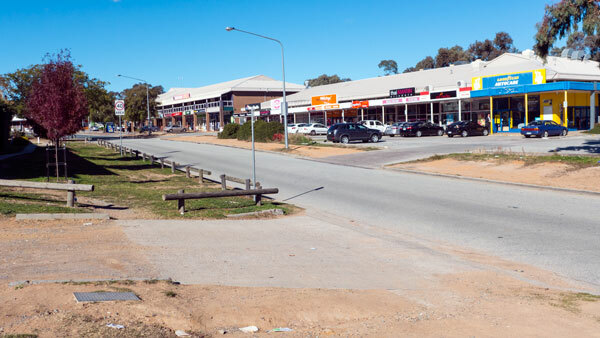 Stage three should join Tuggeranong to the other satellite city centre – Gungahlin. We even got to talk about drones – as mentioned in a previous post. Nicole showed me a letter she had written on this in 2015 – and talked about how she is still waiting for a real answer on this from the government. We talked about a few more things and then time was up. Those minders do a good job of politely interrupting. So what did I think? As you may have gauged from my comments above, Nicole Lawder is the right sort of politician for Canberra. Personally I wish her luck dealing with the more alt-right groups within today’s Liberal Party. However from now knowing more about Nicole Lawder, I suggest she represents the values that Liberals used to and should stand for – more caring, less neo-con ideologically driven and acting daily with the best interests of her electorate as the prime focus in her political life. So to the people of Tuggeranong – you have elected someone who is watching out for you. Last time I spoke to Caroline Le Couteur; my query – who should I talk to next? I’m pleased to read this, however it hasn’t been my experience. I was stopped before the last election in my local shopping centre by the liberals – a young girl with a clipboard. I mentioned I was concerned about traffic around the centre and the increasing inability for pedestrians to navigate roads safely. Nicole did write a letter to the minister and it was emailed to me. That may seem to be a good thing, however proceeding from a few notes taken by a young volunteer to immediately writing a brief meaningless letter to the minister was not the way I expected it would be handled. I ended up writing yo the minister myself and cc’ing Ms Lawder’s office in. Dealing with the ministers office on this issue has been terrible, however Ms Lawder’s office has chosen to ignore it and leave it to me. To cut a long story short, the ministers office eventually, (after many months), sent someone to walk around the shopping precinct with me. He seemed interested and as if he may produce a positive outcome, That was January. Fast forward to the end of May and that same person now no longer responds to emails and the issue has been dropped with no advice to me, the person who raised it. Government and opposition operating as we expect them to. I was down at Gartside st getting work done to the car on Tuesday, and there were guys in fluro vests wandering around with clip boards looking at the roads and driveways. Maybe things are starting to move. People need to visit Gartside Street Erindale between 6-7.30pm at night to appreciate just how bad the infrastructure is in comparison to the very high level of use and visits by locals. There are cars going everywhere, kids running around from Gymnastics or kids carrying food containers to their Parents double parked cars. There are regularly no car parking spaces available for restaurant goers and as stated in the article, there is a terrible visual feel to the area. Mick Gentleman has publically promised an extra 1200 car parks for the Erindale area by the year 2032 a number of times. But he has actually reduced the total number of Car Parks in Erindale over the last few years, so I think he is just trying to make his promises someone else’s problem. The sooner some proper and attractive landscaping is installed and the road and car park is made into a ‘one way street’ the better for everyone. 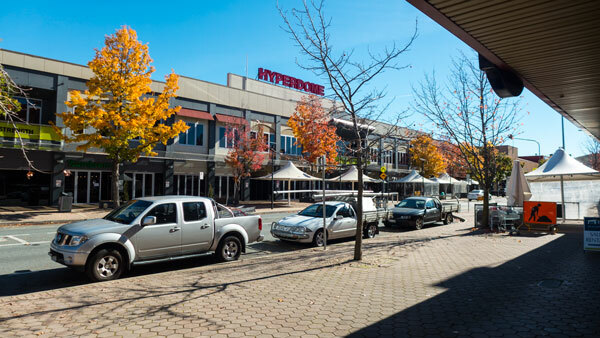 I notice a lot of closed businesses inside and outside the Erindale Centre, so you would think the ACT Government would want to do something to encourage investment by private business. Just like they have done in other parts of Canberra. Great article, thank you for your observations. Yes it’s been a long time – I guess we are supposed to appreciate the Ashley Drive extension (overdue by about 30 years) and all those new irritating speed bumps that are killing my shocks. My only (perhaps somewhat pedantic) criticism is that you refer to Tuggeranong as ‘out there’ – this is an ongoing difficulty we have in Tuggeranong, with decision makers perpetually referencing and reinforcing Tuggeranong as ‘other’ and ”far away’ (i.e. out of sight, out of mind).